Driving in China: How can I get my license? In this article you will find a summary of all the information you need to be able to drive in mainland China. You can click on the links below to skip directly to the section you’re interested in. In mainland China, you can’t drive with an International Driving Permit (IDP), nor with permits obtained in Hong Kong, Macao or Taiwan. This article is based on the laws of the province of Beijing, and as usually is the case in China, the requirements may vary slightly depending on the city in which they apply. Written exams can be done in English or Chinese. Nonetheless, in some small cities, you may be forced to do them in Chinese (sometimes they may authorize you to bring a translator). On the other hand, in some of the main cities of the country, you may even find exams in other languages (such as Spanish, French, German or Arabic). For people traveling to China for a short period of time, including tourists, they can get a temporary driver’s permit for a maximum of three months without needing to pass an exam. Normally, you can obtain this at the traffic police department (车管所) in the city you are in. In Beijing and possibly in other large cities, it can be obtained directly in the airport. Chinese translation of the foreign driver’s license (consult the embassy to know where this can be done). A hotel booking for at least one day. Three one-inch color photos with a white background. 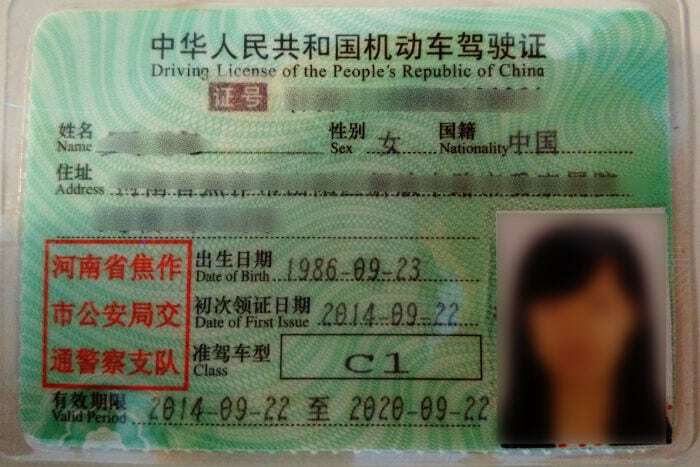 If you have a residency permit and a driver’s license from another country, you can get a Chinese driver’s license (valid for 6 years) just by passing a written exam. The process and the exam take place in the traffic police department (车管所) in the city you live in and you may need a prior appointment. The exam consists of answering 100 multiple choice questions, lasts 45 minutes, and you pass by getting more than 90% of answers right. If you don’t pass, you can repeat it at that time, and if you don’t pass the second time, you have to wait at least 20 days to take it again. Passport and resident permit with at least three months of validity (original and photocopy). Record of temporary residence obtained at the local police station (original and photocopy). Driver’s license from the other country (original and photocopy). Certified and notarized translation to Chinese of the driver’s license from the other country (In many places, such as Beijing, you only need to provide a translation signed by a Chinese national and bring the copy of his/her ID card). Medical certificate (normally you can get this at the same place). Three or five one-inch color photos with a white background. 1) Written exam on laws and traffic regulations and basic concepts on vehicles (100 questions). 2) Parking and basic driving skills test on a track. 3) Written exam on correct driving habits (50 questions). Each exam can be taken twice. If you fail, you’ll have to pay the fee again and wait at least 20 days. To get your license, you’ll have to sign up for a driving school. There are some driving schools which specialize in foreigners or which accept foreigners. There are even some which allow you to bring along a translator. 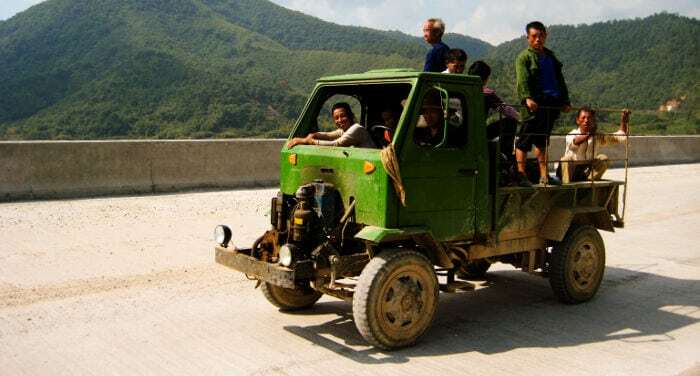 It normally takes 2 to 3 months and 3,000 to 8,000 Yuan (fees, theory classes and on-road practice) depending on the driving school and the city. Passport and residency permit with at least 3 months of validity (original and photocopy). Record of temporary residency obtained at the local police station (original and photocopy). Medical certificate (normally this can be obtained in the same place). Three to five one-inch color photos with a white background. jxydt.info Web page in Mandarin with tests to prepare for the exam. Jiakao Baodian: App to practice for the test in Mandarin. Chinese Driving Licence Test: Webpage and app to practice for the test in English (not free).